Screenshot to PDF software transform various type of image photo picture photograph fax scan still screenshot and snapshot of Adobe PDF document. You can set output page size before run application by choose predefined paper size such as A0 A1 A2 A3 A4 A5 RA0 RA1 etc and also customize height and width of page. 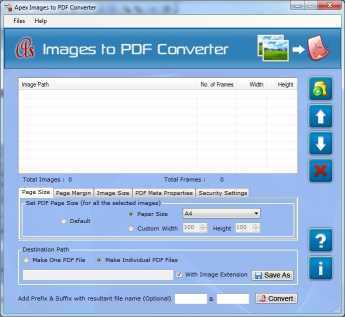 Photo to PDF conversion tool directly convert dozen of image format such as JPG JPEG JPG JFIF TIF TIFF PNG BMP GIF EMF WMF etc to Adobe PDF file. Software provides various extra features such as set page size page margin image size Meta properties password protection etc. You may set Meta properties such as author title subject and keywords. 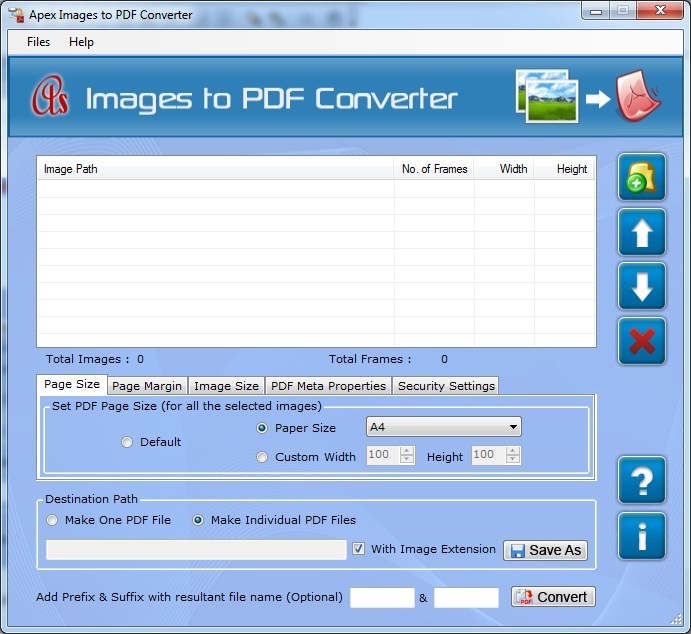 You want to check the efficiency of image to PDF file converter software to go this link Image to PDF Converter www.imagestopdfconverter.com and check efficiency. It is standalone software does not require any technical skill. Application compatible all Windows operating system like Win2000 Win7 x32 and Win7 x 64 Win98 Win Vista Win Vista x64 and Win XP. Features: * Program can convert multiple image formats like TIFF JPG PNG TIF JPEG JFIF JPE BMP GIF EMF WMF etc into Adobe PDF document. * Software provide predefined output paper size A0 A1 A2 A3 A4 A5 RA0 RA1 etc. * Converter program can join merge turn multiple image to single or individual Adobe PDF file. * Application set page and image such as page size page margin and image size. * Conversion tool convert multiple image photo picture photograph scan still fax drawing screenshot and snapshot to Adobe PDF document. * You can set margin on page such as center top and left. * Works with both 32 bit and 64 bit OS. * Software secures your PDF file by user and owner password protection. * Standalone program capable to effectively perform without using any third party application. * Support with all popular Windows OS such as 98 NT 2000 XP Vista and windows 7.